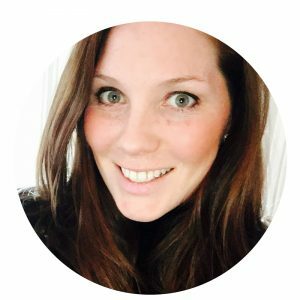 This project is now on our list of ‘boredom-busters’ as it was fun to make AND play with! 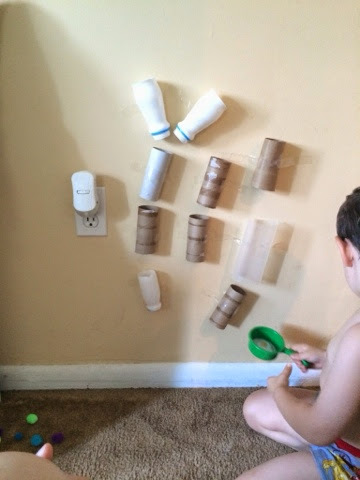 Until Ava decided it was more fun to tear the materials off of the wall…but I guess that could be considered a way to play with it… And considering that Mack never minds using copious amounts of tape on anything, he will gladly re-tape the materials to the wall to play with again. 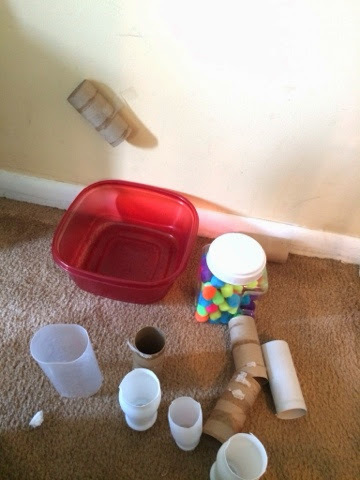 Yesterday was just one of those days (though they are rare) where Mack was particularly whiny and I needed him to occupy himself with SOMETHING. 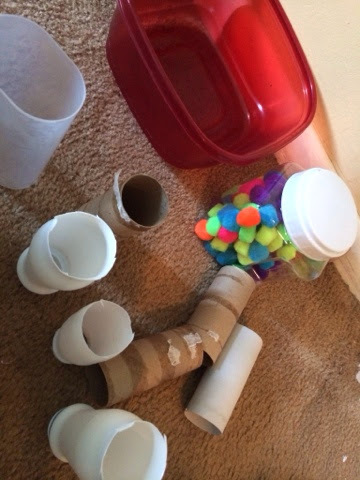 I had been storing up old bottles and toilet paper rolls and was running out of space to store them so it was time we made our pom-pom run! 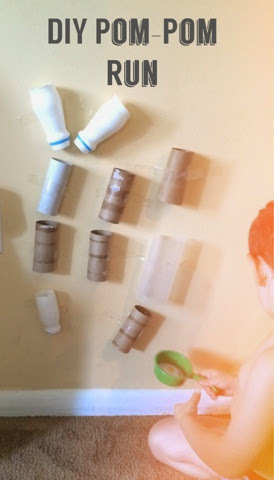 I gathered pom-poms, old bottles with ends cut off, tp rolls, and tape and we started constructing. Our method was to add one component at a time and ‘test’ the track to make sure the placement was good. Mack actually enjoyed this process the most (maybe because of all the tape this involved). 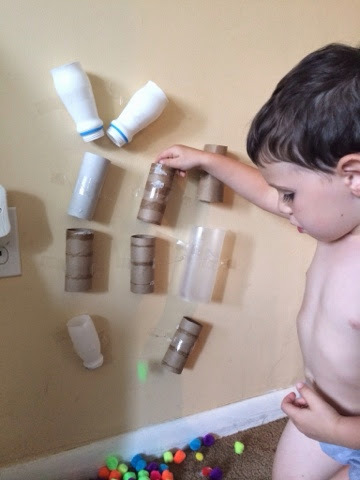 He enjoyed experimenting with different tubes and seeing how far apart he could space them. And please excuse the underwear…at home Mack (3) either wants to live in footie pajamas or underwear and today was HOT…underwear it was. Actually if I’m being completely honest, I made him put underwear on just so that I could take pictures! We also experimented with catching pom-poms in small containers as they made their way down the run for some added difficulty. Ava (12 months) loved this as well! She loves being involved in anything that her older brother does. 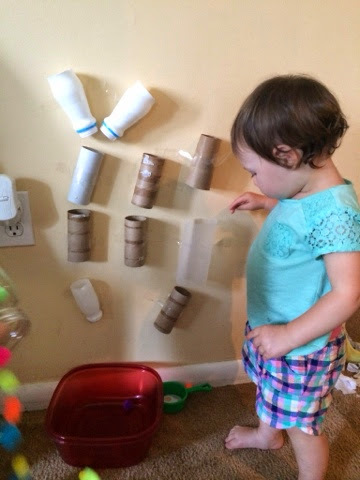 She actually inspired this activity because she enjoys playing with our marble run but likes to put the marbles in her mouth. So I was hoping that this would be a safer alternative…and to my surprise she didn’t once try to eat a pom-pom! Such fun! 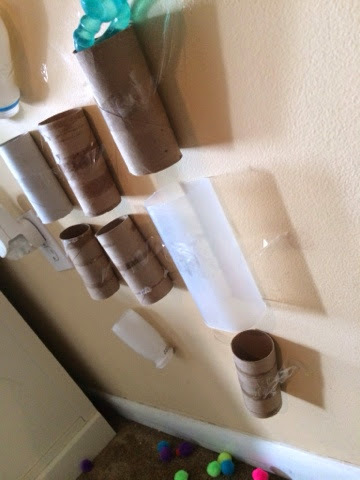 And a great way to recycle those containers you have been saving! 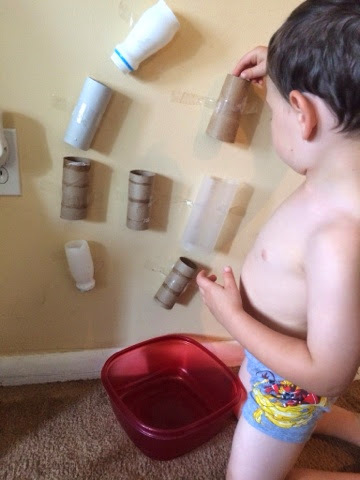 Now I want to make something similar for an outdoor water wall!